It always amazes me when my 5-year-old son stops me as I throw away the teeniest tiniest piece of plastic – literally a twist-tie – and tells me I need to recycle it. We’re raising our kids to be little environmentalists and the level of awareness they can have at such a young age is incredible. Luckily, green is in, and words like organic, recycling and eco-friendly are becoming part of the daily vernacular, not just for us, but some big brand out there. Big brands like Electrolux (think, Kelly Ripa) are jumping on the green bandwagon and making a concerted effort to reduce waste and operate more efficiently. Although saving the environment and vacuuming aren’t two things that you’d likely pair together. 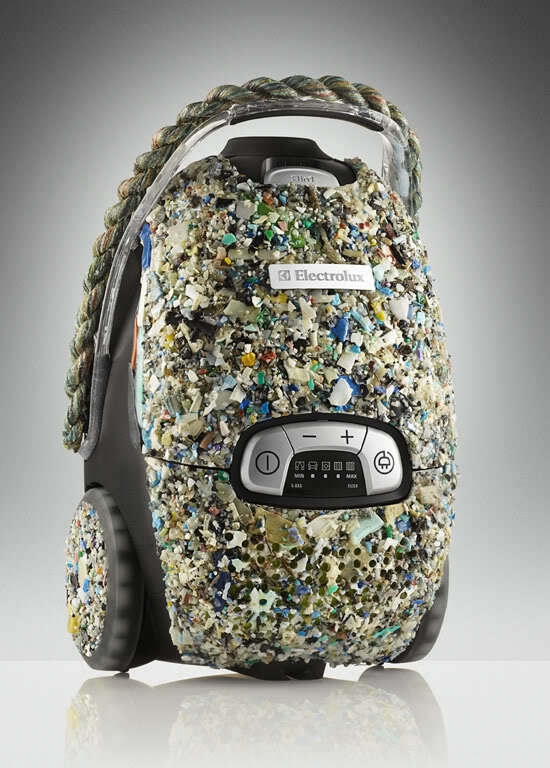 The company has recently launched a line of 5 arty-meets-eco-mindful vacuums called Vac from the Sea around their Ultra One Green-model vac. they are made primarily of plastic debris collected from the ocean. 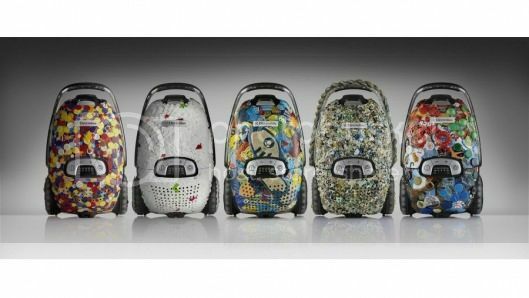 Each of the five vacuum designs represents the ocean from where the plastic was culled. The recycled plastic vacuums will eventually be auctioned off to raise money for environmental research. environment and created these to raise consumer awareness. In fact, they’ve got a line of green Electrolux vacuums that launched in Europe – and we’re hoping they make it here soon. Read about the Vac from the Sea effort on the Electrolux blog.